The collar will log a GPS point 3 times or 4 times per day of the location of the Buffalo and additional info such as the activity of the buffalo. The activity and signal strength is transmitted to the base every 10 min. Hourly this info is downloaded onto the Internet Server. 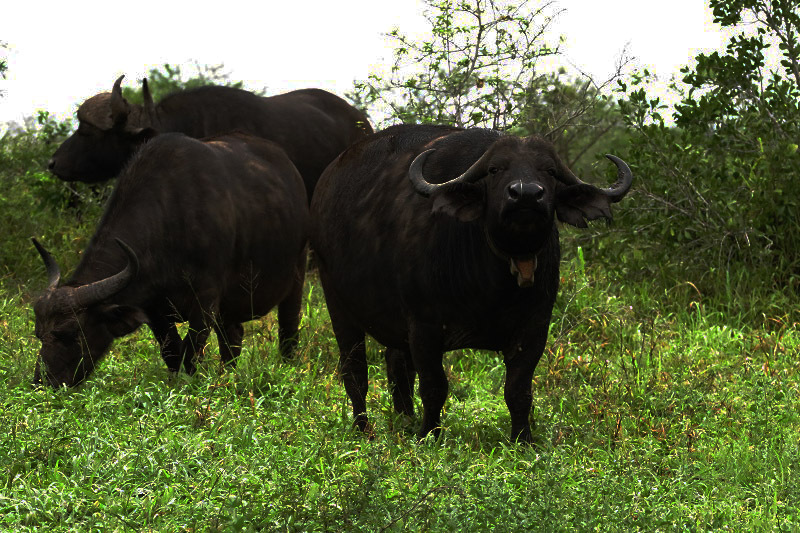 The collar is fully programmable from a remote control point and new monitoring instructions such as shorter intervals or longer intervals can be reprogrammed for the monitoring of the buffalo. The battery lifespan is about 24 months. The range of the UHF transmitter is +/- 5 km to base station subject to terrain. 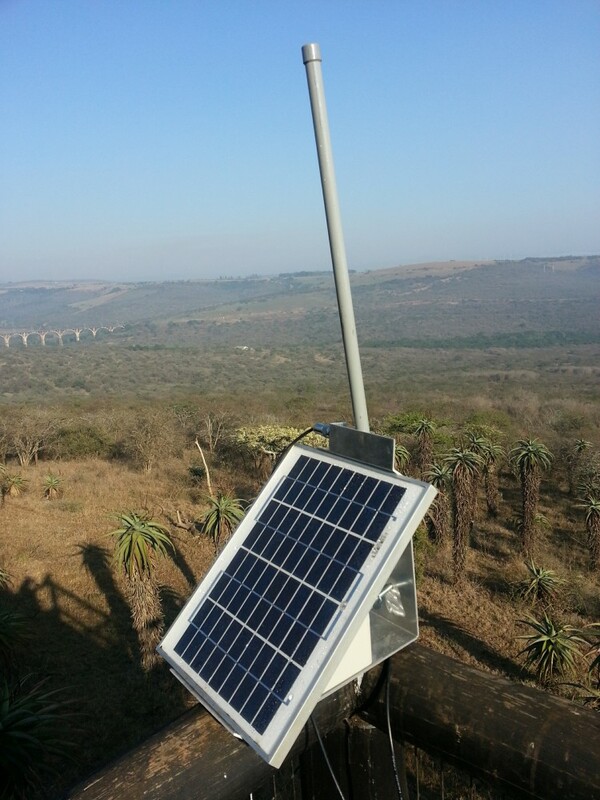 In addition to the GPS/ UHF facility there is also a VHF beacon transmitter on the collar, which will constantly send a pulse so that the buffalo can be monitored by means of a VHF receiver and antenna. The range of the VHF transmitter is 5 km, subject to terrain.